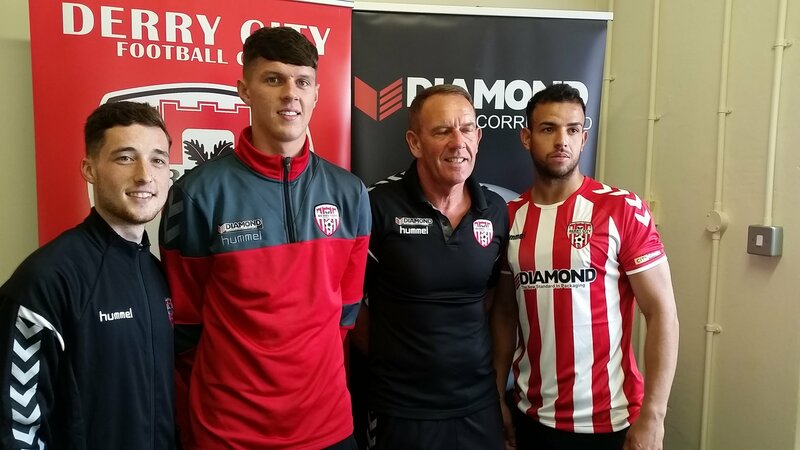 Derry City are delighted to announce the signings of Eoin Toal, Jamie McIntyre and Darren Cole. “”I’m trying to build a defence with him and Sam Todd and Scott Whiteside – they are three central defenders we can develop together. Two are 18 and one is 19 years-old so hopefully we can develop those three and the club will be the beneficiaries of that in the years ahead. “They are players I feel can come in over a period of time and help the club enormously,” he added. More defensive reinforcement arrive with the signing of Scot Darren Cole until the end of the season. The 25 year old has most recently played in junior football in Scotland. The 25 year old started his career with Rangers before moving to Livingstone and Greenock Morton. The player was with Broxburn Athletic and signs until the end of the season in order to provide defensive cover. The third signing is the cross city transfer of Jamie McIntyre from near neighbours Institute. The 20 year old winger has been a regular in Kevin Deery’s promotion chasing Stute teams in recent years and makes the move to the Candystripes to offer more options on the flanks for the Candystripes.